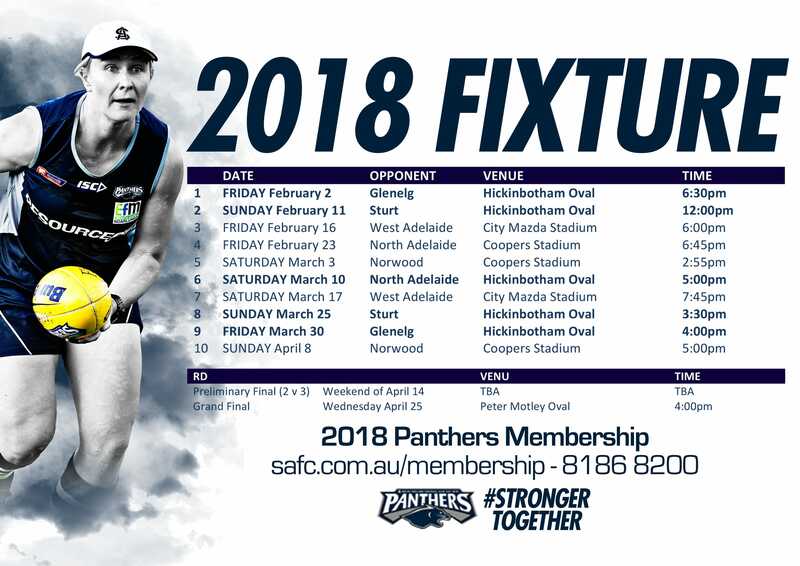 South Adelaide's 2018 fixtures have been released, with both the Panthers senior men and women getting their season underway with Friday games at Hickinbotham Oval. 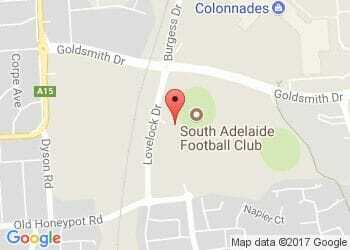 Good Friday football returns to Hickinbotham Oval, as South Adelaide kick season 2018 off with their traditional battle with the Bays. Other highlights include; a Tuesday night game under lights at City Mazda Stadium on ANZAC Day eve and a Queen's Birthday clash with reigning premiers Sturt at Peter Motley Oval. 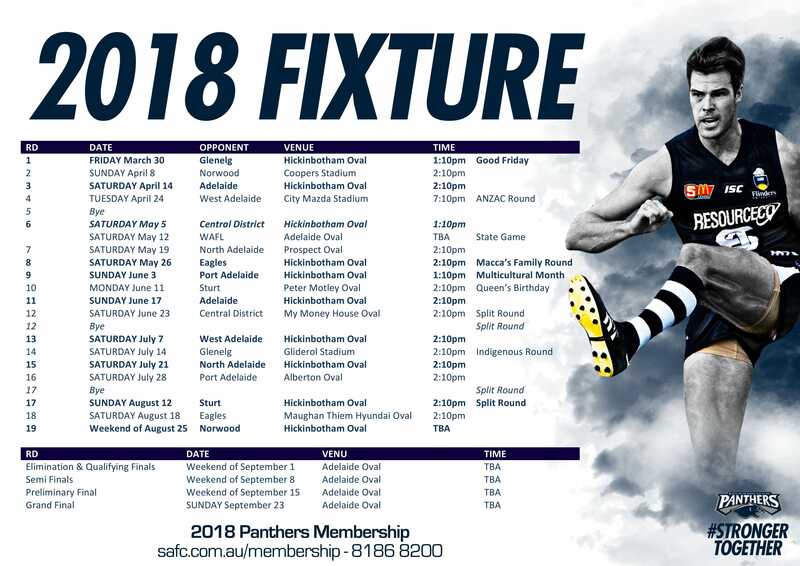 State football also returns in 2018, with the SANFL's finest facing the WAFL at Adelaide Oval. Twilight football makes a triumphant return to Noarlunga for the Panthers inaugural SANFL women's campaign, with four out of five matches at Hickinbotham Oval slated later than 3:00pm. The SANFLW Grand Final will be held following the men's Grand Final replay between Sturt and Port Adelaide at Peter Motley Oval on ANZAC Day. Don't miss a minute of the action and grab a 2018 Membership!